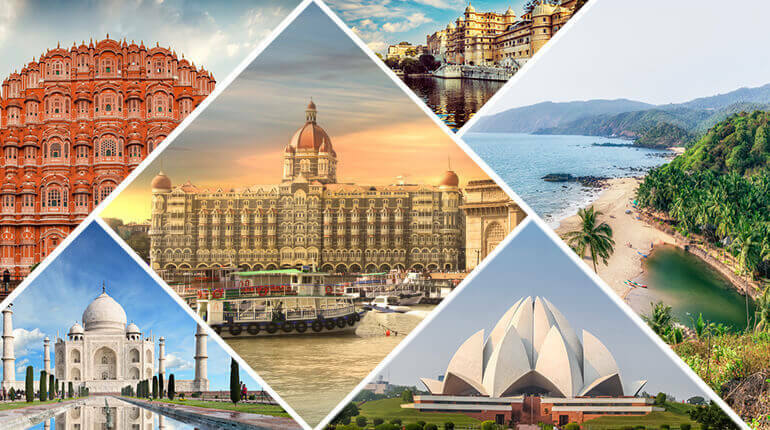 Encompassing an area of 32.8 Lac Sq.km with a magnificent blend of above 1600 languages and 29 states and 7 union territories, How to travel in India is one question which everyone has in there mind. 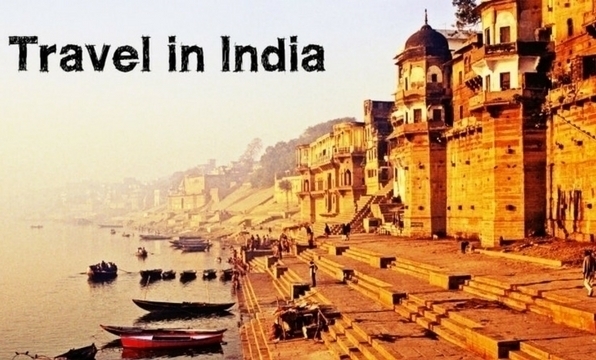 India has always been one of the most sought-after tourist destinations. Not only the richness of the Indian culture and heritage entice the Globetrotters but also the level of technological development and economic growth that give an impetus to the natural beauty and greenery. So we would just recommend you as an explorer to travel around India with a big heart and a desire to go beyond all the limits ’cause vast India is waiting with its open arms to embrace you warmly. 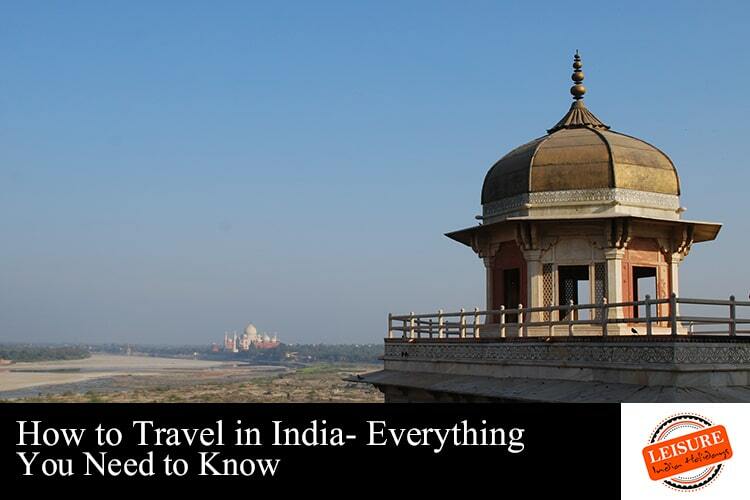 Here, we present some tips and a checklist regarding how to travel in India. First in the list of how to travel to India is to decide over what destinations you want to explore in India. As we all know that India is a large country having loads of exciting places to visit. But you have to choose from that beautiful bouquet of places what you want to see in India, as India’s got everything and possess the capability to willful all your desires. A reason behind your journey to figure out what you exactly want from India will make you happier and satisfied. India will present itself to you in that element from its multi-element structure. Remember, India never disappoints any explorer and a journey with a goal is the best thing in life. Now if you have decided the places you want to explore and also got your reason, then it’s time for you to do some research before you prepare your India itinerary. The research will provide all the information about the weather, local places, cuisines, shopping spots, language and all those things which will take best out of your journey. 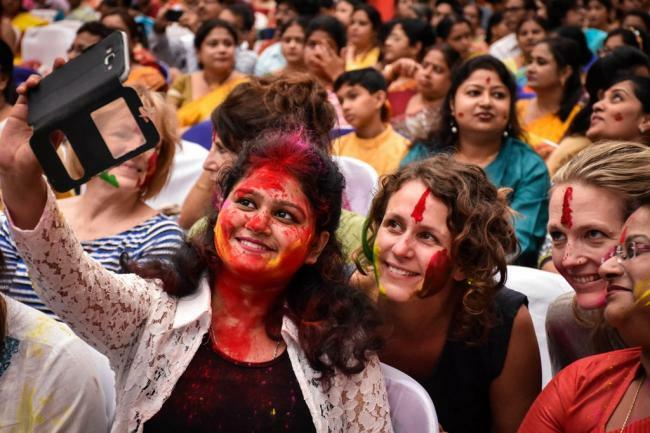 Everybody knows that the local language of India is Hindi so it’ll be good for you if you if you download a Hindi language app in your Smartphone before heading to India. By the way, you’ll also find people understanding and speaking English in their unique Hinglish (Hindi + English) style just for you and it’ll be a help and also bring a smile on your face. India will also attract you with its shopping spots and interesting handicraft products and local clothes to take that stuff with yourself back home and to do that in a smart way, just google out some bargaining tricks and practice them while shopping in India and grab your favorite stuff at best deals. Next tip in our how to travel to India list is planning your journey to India with a reputed travel company will make your trip hassle-free, with all set facilities like vehicles, guides, hotels, exploring places and others so that you just can focus on enjoyment. While for your health concern paying a visit to a physician for required vaccinations and medications before your visit to India is a good Idea and also carry one first aid box and your important medicines so that you can enjoy a healthy trip. Carry your wearable clothes which suits the weather of India as India has diversities in weather and climate too, well your deep research will help you to pack your bags. The number and diversity of the attractions offered by India are widespread. Some of the most renowned tourist destinations include Taj Mahal in Agra,Uttar Pradesh (the mausoleum of Shah Jahan’s favourite wife, recently acclaimed as one of the seven wonders of the world), Nahargarh Fort in Jaipur, Rajasthan, Chandra Mahal(The city Palace) in Udaipur, Rajasthan, The Jhelum Valley in Kashmir, The Qutub Minar & Red Fort in Old Delhi, The Ajanta- Ellora, Leh/Ladakh etc. These heritage sites offer a mix of natural and man-made wonders in the form of monuments/ temples/ beaches. While some tourists may be tempted towards the warmth and waves of beautiful beaches in Goa & Kerala, others may cater their fancies by visiting the glorious temples/monuments and admire the historic artwork. The varied structure of the Indian Heritage and Culture gives the tourists a chance to discover and comprehend the complex lifestyles, the occupational pattern and at the same time allows them to enjoy a pleasant stay with comfort and luxury. Apart from looking into how to travel to India, also one should look for the best time/ season to visit India. India is home to a variety of climates that range in scope from the more temperate and tropical southern regions to the snowy hills of the Himalayas in the north. The weather is influenced by the vast spread deserts of Rajasthan that carry a combination of hot and cold as well as the tropically wet areas covering a strip of the south-western lowlands comprising of the Malabar Coast and the Western Ghats. The other climatic diversities include Tropical Dry regions, the sub tropically humid areas and the mountainous and higher areas. India also comprises four major seasons i.e. Summer (April-June), Winter (December-March), Monsoon (July-September) and Autumn (October-November). 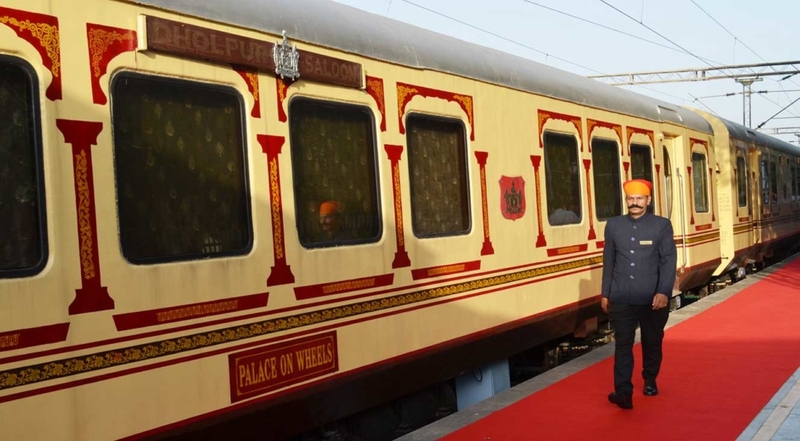 The Indian Railways unmistakably the best way to travel in India and connects every corner of the nation with all the other parts to render a perfectly reliable and easy to go train system. The Indian Transportation system is not only developed in terms of rail but also in road connectivity terms. To make your journey memorable and low budget, just try traveling on an Indian train. People ask how much money do I need to travel to India and the answer is not much at all. Some of the local transports like rickshaw ride, auto trip, and a long ride will add fun to your journey. The question of safety often concerns and puts doubt in visitors minds on how to travel in India safely. Some of these often include whether to travel alone in India or in a group. It is very much advisable to travel in a group, not because of the safety troubles but also because India is a vast nation with diversity at every end and the social evils are never absent in any country. Traveling in a group not only gives a sense of security but also allows the visitors to go into the depths of the country and satisfy themselves to the fullest. Longer Journeys, late-night travels, wider area coverage, and last but not the least, the level of enjoyment, pleasure and fun doubles with the decision of traveling in a group. However, this does not mean India is not a place for single travelers. Every member and part of the country is extremely accommodating and comfortable and single travelers are most welcome to come and enlighten us with their discoveries. With the desire of making your stay convenient and customized, Leisure India Holidays has been channelizing its efforts since a decade into planning your trip and customizing your stay as per your own specifications with the undisputed aim of maximizing customer satisfaction. Not only are the tours tailor-made to your requirements, but also ensure the exposure of every single person to the different facets of the nation. We offer various tours such as Rajasthan Tours, North India Tours, South India Tours, and Central India Tours. These tours are further subdivided into Goa, Kerala, Taj Mahal, Honeymoon tours etc. We strive to achieve customer satisfaction and brand loyalty. Every detailed aspect related to each tour is carefully looked after to ensure a memorable experience. The quality as well as the quantity of the facilities starting from the provision of stay hotels, planning of innovative and fascinating itineraries, arrangement of the mode of travel (road/rail/air), to the type of cuisine, food standards and every little detailed customer touch point are regularly checked and kept at the highest rank. Now, it looks like you must be aware that how to travel in India, what all they can see in India when to visit India, etc. Planning a trip with us across any end of the nation is now as convenient as ever. We facilitate you by bringing us to you and taking the initiative to build a strong relationship by emphasizing on customer relationship management. For the Smartphone and gadget operators, we provide you with comfortable access to our website where you can gather information regarding all required topics and you can also go ahead with the booking of your choice just with the help of a few clicks. You can also enquire about various packages by filling up a small form and we will respond to you instantly. But if all else fails, you have us to count on. You are always welcome to visit us at our premises and discuss your requirements and allow us to serve you the best at the least cost. It is our guarantee that the services will be as stipulated and we will provide a door-to-door feeder where your efforts are reduced and your luxury is maximized. Whether you choose the latter or former, we assure you our best assistance on every matter.